Let’s talk about how to get into Penn State. First, it’s important to distinguish between the Penn State, and other campuses administered by Penn State. What do I mean by this? Well, Penn State is actually a university system, not a single school. But the most famous Penn State university is Penn State–University Park. This is the one nationally ranked university in the system. It’s also the Penn State you are likely trying to get into if you’re reading this article. And it’s a good choice! US News and World Report ranks Penn State at number 52 nationally, putting the school in the top 2% for universities in the United States. Like most top schools, Penn State does not set an absolute rule for minimum SAT score. Instead, it lists the SAT scores of the middle 50% of accepted applicants. But how competitive are Penn State’s “middle 50” SAT scores? To get a sense of that, we need to think not just in terms of scores, but also in terms of percentiles. The 1250-1430 range for Penn State SAT scores represents a percentile range between 86th percentile and 98th. This is actually a fairly broad percentile range. The lower end of the middle 50%, a 1250/86th percentile, is actually fairly attainable. That upper 1430/98th percentile can be harder to reach. In any case, remember this: The lower your SAT score is, the stronger the rest of your application will need to be. And the higher your SAT score is above 1250, the better! What makes Penn State’s middle 50% ACT scores interesting is that they aren’t quite equivalent to the middle 50% ACT scores. Recall that Penn State likes to see SAT scores between 1250 and 1430, and ACT scores from 28 to 32. But according to the official ACT-to-SAT conversion tables from the ACT website, a 20-32 ACT range is actually equal to a 1260-1420 SAT range. So the upper expectation for Penn State ACT scores is slightly lower than the upper expectation for Penn State SAT scores. At the same time, that lower end 1250 on the SAT is actually a little lower than the low-end ACT expectation of 28. You’ll see similar small differences when it comes to percentile. Remember how I told you that the 1250-1430 range for Penn State SAT scores represented an 86th-98th percentile range? Well, the 28-32 range for Penn State ACT scores represents an 89th to 97th percentile. In short, if you’re taking the ACT for Penn State and you have a lower-than-average score, your chances of falling below the middle 50% are slightly higher. 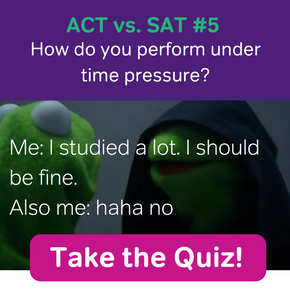 If that’s the case, there may be an advantage to submitting SAT scores instead. At the same time, above-average ACT scores have a slightly better chance at landing you in the top 25%, compared to above-average SAT scores. How to Get Into Penn State: What does your GPA really mean for Penn State admissions? Let’s take a closer look at what that 3.55 to 3.97 Penn State GPA range really means. In a nutshell, it means that to have the best shot at getting into Penn State, your high school grades need to be near-perfect. This is because a that Penn State GPA of 3.55 is equivalent to an A- average. And a 3.97 GPA is equal to an A or an A+ average. One thing you can take away from this is that Penn State cares a lot about high school grades. It’s also tempting to take away a false message: that if you have something short of an A- average, you shouldn’t bother to apply. Not true! Remember, Penn State sets no official minimum test scores or GPAs. If your GPA is a little below 3.55, it’s probably still worth it to apply, especially if the rest of your application is strong. If you’re not quite sure how to calculate your GPA for Penn State admissions purposes, Magoosh can help! Check out our article on how to calculate your GPA. This should help you figure out the “GPA” part of how to get into Penn State. We’ve already taken a good look at what a Penn State freshman looks like in terms of Penn State SAT scores, Penn State ACT scores, and Penn State GPA. But what does a Penn State freshman look like on a personal level? Where do Penn State students come from? Where do they live? Once you figure out how to get into Penn State, will you fit in and thrive upon arrival? First, let’s talk about where Penn State undergraduates are from geographically. As you might expect, more than half of Penn State’s students are from Pennsylvania. But only a little more than half. 52% of the incoming undergraduates are in-state students. A remaining 36% of students are from other parts of the U.S. And 12% of students are international. So if you attend Penn State, you’ll get a strong taste of local Pennsylvania culture. But you’ll also get to interact with people from many other parts of the country and the world. Now, let’s talk about where Penn State freshman are form economically. To be sure, Penn State has its share of wealthy and well-connected students, as you’d expect from an elite university. However, the majority of Penn State students come form either middle-class or lower-income households. Roughly 64% of incoming freshman are found to me eligible for needs-based financial aid. So that’s where Penn State students come from, physically and financially. But once they arrive, where do they live? The vast majority of Penn State freshman live in the dorms at first, since they’re actually required to live either on-campus in their first year. However, once a group of freshman move on to their second year of schooling (or later), they stop living in student housing for the most part. Over all, only 35% of Penn State students live on campus. So we’ve discussed the Penn State SAT and ACT scores. And we’ve looked at Penn State GPA. While those are among the most important Penn State admissions requirements, there are a few other important things to consider. First, you should consider Penn State’s high school prerequisites. You’ll need four years of high school English. These four years must include at least 1 year of English literature and at least 1 year of English composition. And for high school math, successful Penn State applicants must have taken a year each of Algebra, Algebra II, and Geometry. 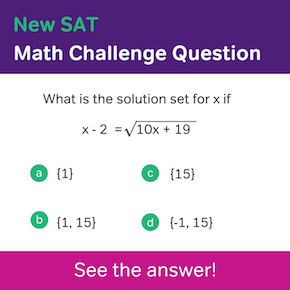 In addition, you’ll need to complete at least a half year of one of the following high school math topics: trigonometry, pre-calculus, or calculus. Finally, you’ll need 3 combined years of social studies, arts, or humanities, and 2 years of a foreign language. Next, it’s important to remember that there are additional requirements for certain undergraduate majors. To see a list of special major-specific requirements for undergrad applicants to Penn State, visit the official undergraduate requirements page for Penn State admissions. Here’s a quick FAQ to cover your most common additional questions students have about Penn State, besides the questions I already answered above. Is Penn State an Ivy League school? Actually, it’s the University of Pennsylvania, the other major top school in the state, that’s in the Ivy League. Penn State is a high ranking school but is not an elite private school like the eight members of the Ivy League. 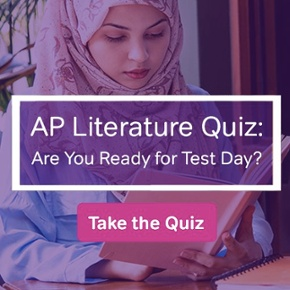 Does Penn State require the essay portion of the SAT or ACT? No, Penn State does not require applicants to take the essay part of either the SAT or ACT. However, Penn State admissions is willing to look at and consider essay scores. What is Penn State best known for? Academically, Penn State is best known for several different departments. The most popular majors at Penn State are Engineering, Computer Science, Business, and Communication/Journalism. How much does it cost to attend Penn State? For the 2018-2019 school year, Penn State’s full-time tuition costs $18,436 per year for in-state students. Students from out of sate are charged $33,664 per year, however. To cover additional non-tuition expenses for living and studying, Penn State estimates students will also need to spend approximately $13,000 to $16,000 per year. For a detailed breakdown of Penn State expenses, see the official Penn State tuition and costs website for undergraduate Penn State admissions. Does Penn State use the Common Application? Yes. As of June 2018, Penn State now uses the Common Application. The Common Application is a third-party website that provides the application forms for many top schools. So the Common app is now an important part of how to get into Penn State, and it can be important at other universities too. To learn more about the Common Application and its essay check out this Magoosh blog post about the Common App essay. Does Penn State require letters of recommendation? For most Penn Sate applicants, letters of recommendation are neither required nor considered. However, if you want to apply to Penn State as an honors student, you will need two letters of recommendation. Here again, Magoosh has a helpful blog post. If you think you may need recommendations for Penn State or any other school you’re applying to, we have a useful article on how to ask for a letter of recommendation for college. Penn State is an especially good choice if you are interested in enrolling in its top majors, which are geared toward communications, business, and STEM. But Penn State is really for everyone. It’s a big school with a lot to offer. If you can meet the high standards for Penn State SAT scores, Penn State ACT scores, Penn State GPA, and Penn State admissions, Penn State will have a lot to offer you personally, regardless of your chosen major. So if you’re considering Penn State as an option, good! I hope this guide to how to get into Penn State has been helpful. Incorrect, Penn State uses common app now. Check websites of colleges to stay up to date. They are constantly changing admissions procedures and stats.